I just bought 2 of you programs (Network Scanner and Switch Port Mapper) and I think they Network Scanner has a feature that can make Switch Port Mapper more powerful. 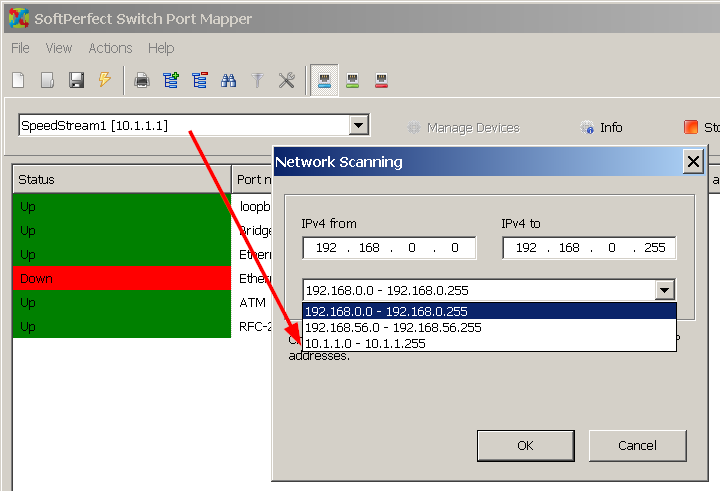 The Switch Port Mapper needs access to a router to do MAC to IP matching using the ARP table from the router (logical because the router "knows" all IP addresses and the MAC address that uses it), but what if SNMP is not enabled on the router or there is no router on the network (unlikely nowadays but anyway)? Network Scanner scan the network and build its own MAC and IP table. What if that feature was build into Switch Port Mapper? I know it will take more time but Network Scanner does a real good job resolving the info. 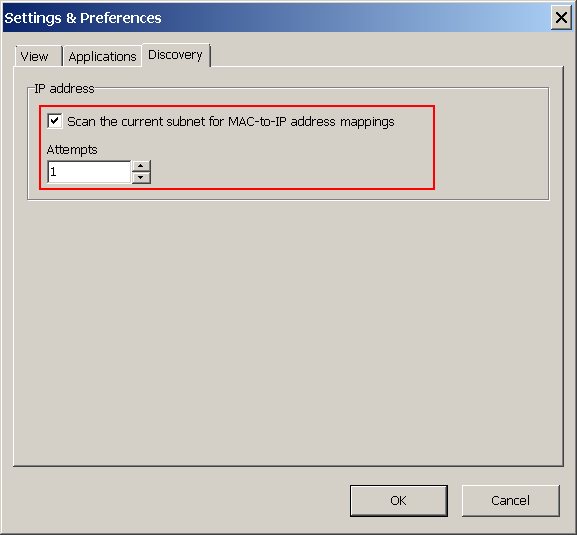 Unfortunately it's only possible to obtain MAC-to-IP-address mappings within the local subnet. Unless specifically configured, a router doesn't forward ARP traffic, which makes it impossible to find out the MAC address of a device in another network. There's a bit of discussion about getting a MAC address of an IP address from behind a router, if you are interested in details. That's exactly my point, why not build the networkscan from networkscanner into switch port mapper to actively get the ip/mac and cross-reference them with the switch. Methods (a) and (b) are identical, but method (c) allows us to get MACs from some Windows machines (only) that have NetBios enabled. 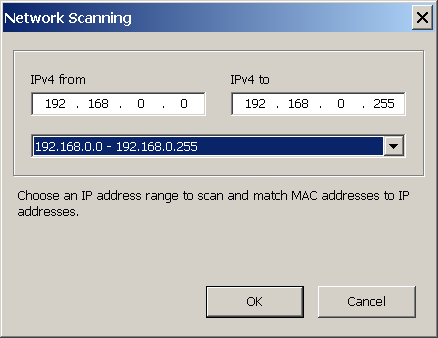 Is this what you want see ported from Network Scanner to Port Mapper? Please try the latest build, it now uses NetBios to obtain MAC addresses and host names that are not accessible otherwise. Granted your Windows computers have file sharing enabled, this should reveal at least some MAC addresses. the only remark I have is the network scanning box, maybe you should add the ip subnet where the managed switch belongs to. thank you very much for this great addition. No worries, it's also a great idea to add the switch's network in the network scanning dialog. We've implemented that in the latest update.